New England ISTE hosted our first Train-the-Trainer Institute on May 5th in Rye, New Hampshire. Our next workshop and training is Saturday, July 21, 2018, in Northampton, MA. Completing this training will make one eligible to train for NEISTE across New England. This email is targeted to anyone from New Hampshire (NHSTE member or not) who is going to ISTE18 in Chicago at the end of June. Hard to believe that the school year is nearly over and in about a month some of us head to Chicago for ISTE 2018!!! NHSTE is once again planning the New Hampshire Networking Dinner during ISTE. We generally meet after the opening keynote on Sundayevening, June 24th, probably around 8:00pm ish this year at a restaurant near the NHSTE hotel. This event has ranged from a small group of 12 to 15 to a group of over 40 of us! We have gone to some gourmet restaurants and some more casual locations. I have already located a couple options close the NHSTE hotel, the Fairfield Inn & Suites Chicago Downtown, 216 E Ontario Street Chicago, IL 60611. Once I have an idea as to how many are interested, I will finalize the location. Anyone from New Hampshire (and their guests) is invited to attend. Please complete this quick 5 question survey to let us know your plans. The options on the survey include "probably' and "maybe", so you do not need to be sure of your plans at this time. 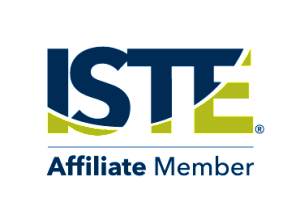 This is the ONLY EMAIL that will go to the full NHSTE membership list with this request, so please share with your friends and colleagues headed to ISTE18. Those providing me with their email address on the survey will be added to a list of individuals to receive detailed ISTE18 information from NHSTE moving forward. For more information, please see: http://www.nhedgis.org/geoprism-community-atlas-projects.html. 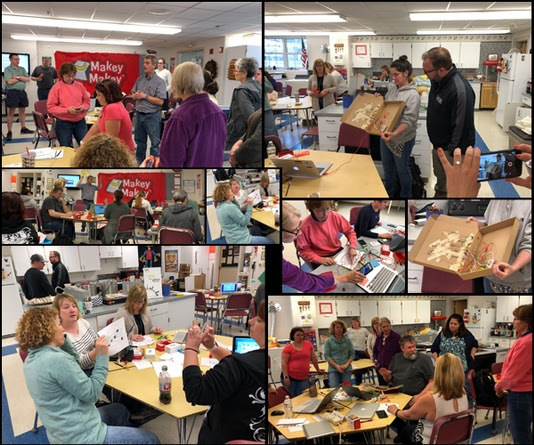 Remember, thanks to the GeoPriSM Math-Science Partnership grant from the NH Department of Education we can provide a stipend of $400 for each GeoPriSM teacher who has students successfully complete a project. Reminder: Submission deadline for the NH Online Map Competition (https://sites.google.com/site/nhonlinemapcompetition/) is this Thursday, May 10th. Also, don't forget to register for this final summer of funded workshops. See http://www.nhedgis.org/summer2018.html for more info and links! Registration: Please sign up here. Space is limited. Code.org’s Computer Science Fundamentals courses have about 15 lessons that may be implemented as one unit or over the course of a semester. Students create computer programs that will help them learn to collaborate with others, develop problem-solving skills, and persist through difficult tasks. They will study programming concepts, computational thinking, digital citizenship, and develop interactive games or stories they can share. A Snapshot of What is New for CMTC 2018! TechWomen Ambassadors Week November 2018 - We Need YOU! NHSTE is excited to announce our new partnership with Wonder Workshop to bring the Teach Wonder Professional Learning Program to all NH schools. Would you like to take a Teach Wonder course and also receive a Dash robot for only 125.00? (a 450.00 value) The first course, Introduction to Coding and Robotics with Dash & Dot, is built to develop confidence for all classroom teachers. CMTC 2018 Online Call for Presenters is NOW Open!!! 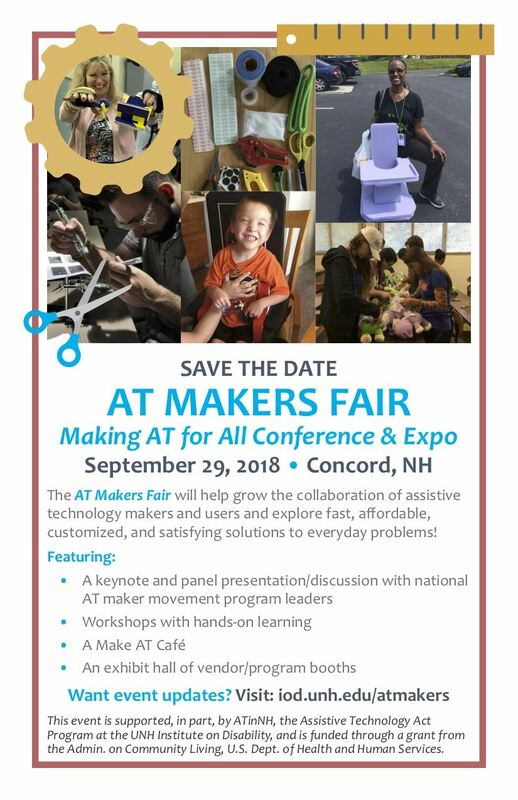 The AT Makers Fair will help grow the collaboration of assistive technology makers and users and explore fast, a ordable, customized, and satisfying solutions to everyday problems! This event is supported, in part, by ATinNH, the Assistive Technology Act Program at the UNH Institute on Disability, and is funded through a grant from the Admin. on Community Living, U.S. Dept. of Health and Human Services. Just a reminder about the ISTE 2018 Conference in Chicago this year... Early Bird Registration is available through May 1st! Click here for more information about the conference.